You have obviously heard of goji berries as super foods and you are now wondering just what do goji berries taste like. Since this so-called super food is not very easy to come by, it is a very natural question to ask. 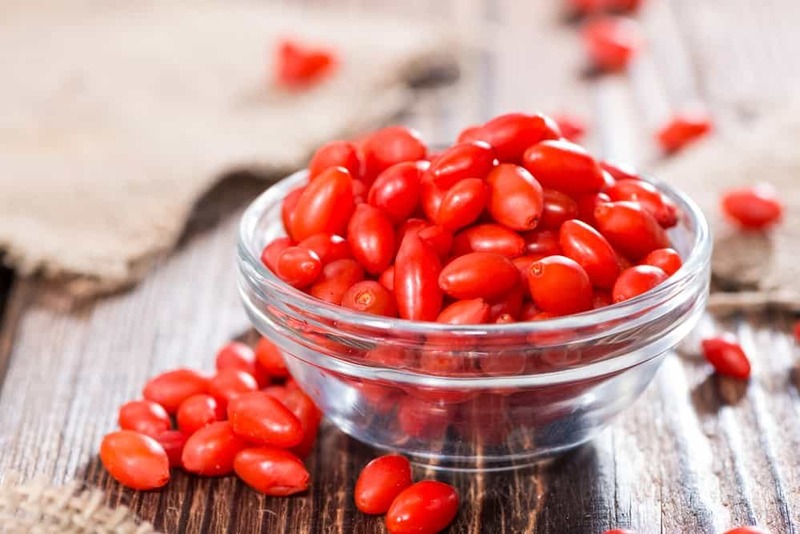 Find out about the healthy benefits of goji berries, what they taste like and what you can do with them. The first time you see a pack of dried goji berries, the first thing you will think of are raisins. But unlike raisins. While raisins are relatively smaller compared to goji berries and are black in color, goji berries are relatively bigger and are red in color. Goji berries originated and are native to Asian countries, like the Himalayas in Tibet. It has been a part of the many customs and rituals of this culture for more than a thousand years, for both medicinal and spiritual reasons. Nowadays, goji berries are grown both in Asian countries like China and Tibet, and certain parts of Europe. 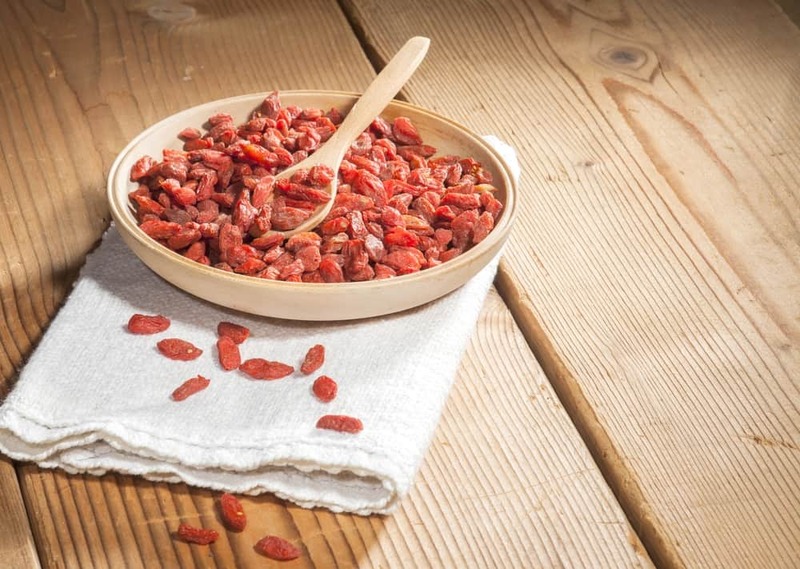 Goji berries were initially imported into the UK, where it is still being grown up to date. For some reason, there are still no growers of goji berries in the US. The closest you can probably compare fresh goji berries to are tomatoes, especially the “roma” variety. They grow in clusters just like grapes on vines, but unfortunately, finding fresh goji berries in the US is near to impossible, due mostly to the lack of local production. 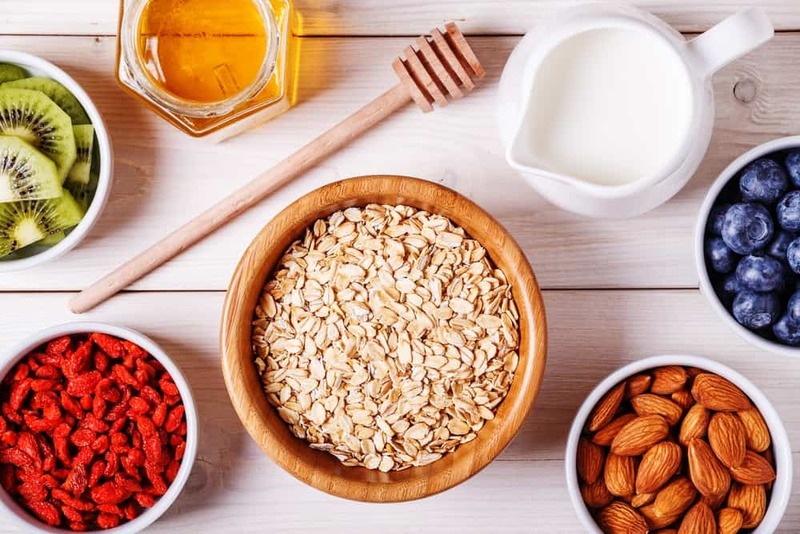 They are usually sold in either as dried goji berries or as powdered goji berries, which are more readily available in health stores and large supermarkets these days. What do Goji Berries Taste Like? If you are planning to eat these goji berries fresh, then I am very sorry to disillusion you. Fresh goji berries are more bitter than sweet, and very few people likes eating them fresh. This is probably one of those fruits that can definitely scare kids away. Dried goji berries on the other hand are way better. Once the goji berries are dried, they lose most of the bitter taste and would be close to cranberries and cherries in terms of flavor. They are not that awful they just aren’t that delicious, either. This is a really awesome fruit for your kidney so keep that in mind whenever you eat them. Adding them to soups and smoothies will be a great way to make them more palatable. The first time you see goji berries, your initial thought would be red raisins. Hold that thought, because the best way to incorporate this fruit into your recipes is by using it the same you would use raisins. Remember that this suggestion applies to dried goji berries and not fresh ones. Add them to your oatmeal breakfast. I know just how healthy oat meals are, but for the life of me, I can barely stand eating plain oatmeal, even with milk. Part of it is because of the texture, the next main reason is the lack flavor. Since they are so healthy, you really can’t say no to oatmeal so for the longest time, I have been adding different kinds of dried fruits to my oatmeal to give it flavor. Some people like to add fresh fruit like strawberries and apples, which I also do every now and then, but dried apricots, dried mangoes, dried goji berries and raisins also very delicious meals. I initially started as a junk food eater. Anything with tons of sugar, sodium and preservatives can tide me over without a real meal in a day and I was loving it. 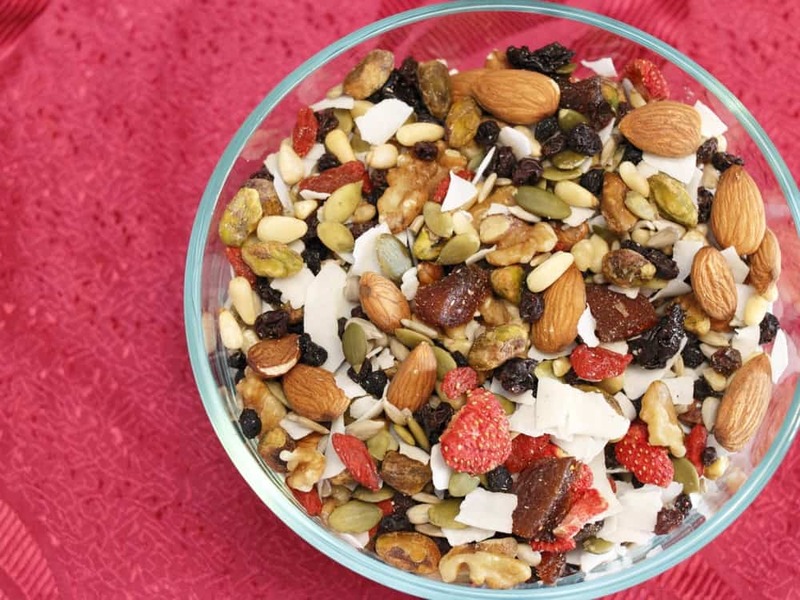 Shifting to a healthy diet was very difficult at first and making my own trail mix made it a lot easier. A junk food eater likes having something to munch on, multiples of time throughout the day– trail mixes helped me manage that habit. I was able to keep munching away, while staying healthy at the same time. If you don’t feel like making your own mix, it will be very easy to buy them. Another great way to eat goji berries is by adding them to your smoothies. 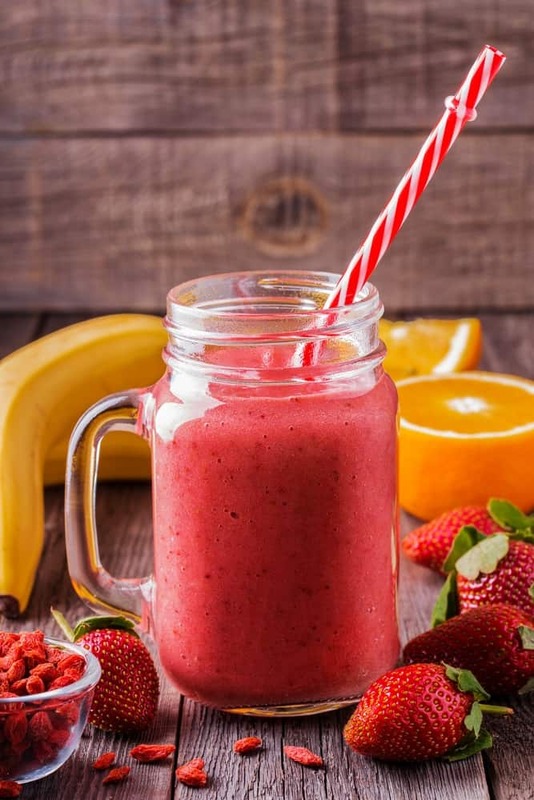 You can even use fresh ones for smoothies, as long as you use them in moderate amounts and with other full tasting ingredients like bananas, avocados, mangoes and strawberries. Combining fresh goji berries with any of these fruits can lighten its taste. Do not use too much though, so it will not dominate the taste of your smoothie. You can also use dried goji berries and they are way easier to add to your recipe. There are so many different ways you can use goji berries. Add them to your other recipes and experiment to find out how you like them the most. 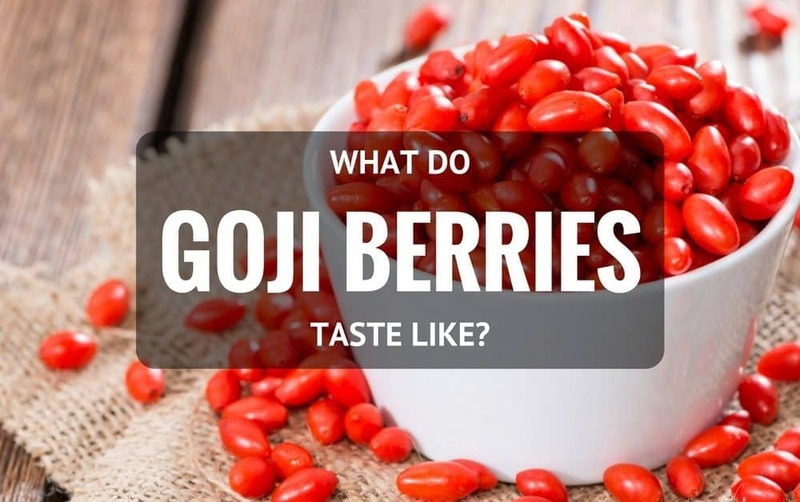 Share your favorite recipes that uses goji berries in the comments below. I would also love to give your recipe a try!